Because we are often called in for tree removal and tree cutting in Orlando, we see many trees die because of a lack of water. Trees require four resources to live: 1) sunlight 2) carbon dioxide 3) nutrients 4) water. Water drives all the processes within a tree from photosynthesis to root growth and nutrient uptake. As trees grow they invest energy in creating a root system that will support them in times when water is a scarce commodity. In urban landscapes we often create situations where the trees’ natural drought resistance is damaged or is circumvented. In these situations trees can be irreparably damaged by a lack of water. While trees can survive initial drought conditions, prolonged periods of drought will stress trees making them susceptible to insects and diseases. As with most tree problems, the best management strategy is to prevent trees from becoming susceptible to drought. Roots will grow where resources are plentiful. Water at the drip-line of the tree to increase root proliferation and drought tolerance. 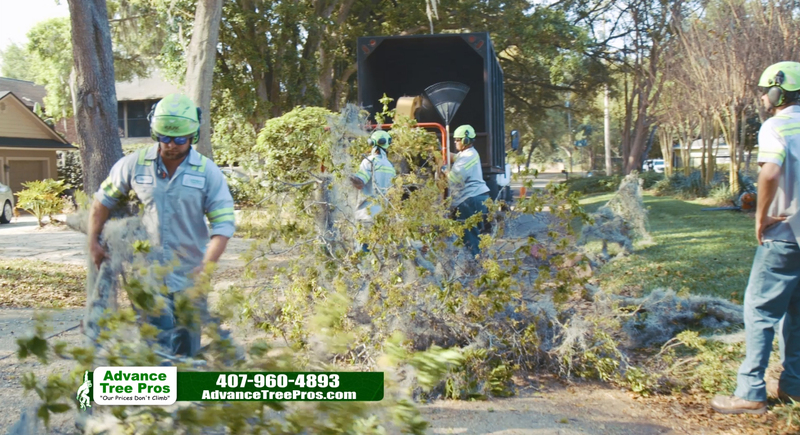 Because we are often called in for tree removal and tree cutting in Orlando, we see many trees die because of a lack of water.Trees require four resources to live: 1) sunlight 2) carbon dioxide 3) nutrients 4) water. Water drives all the processes within a tree from photosynthesis to root growth and nutrient uptake. As trees grow they invest energy in creating a root system that will support them in times when water is a scarce commodity.